This evening, DDP had the privilege of a guided tour through the Downey Police Department (DPD), provided by Corporal Garth Boggs. For the next week (or two), we'll introduce you to Corporal Boggs and some tidbits about life at the station. You'd think that a 30-year veteran of the police department would know the Miranda warning by heart by now. Well, Corporal Boggs does know it, but he, like the rest of the DPD, carries the Miranda text on a card in his shirt pocket. 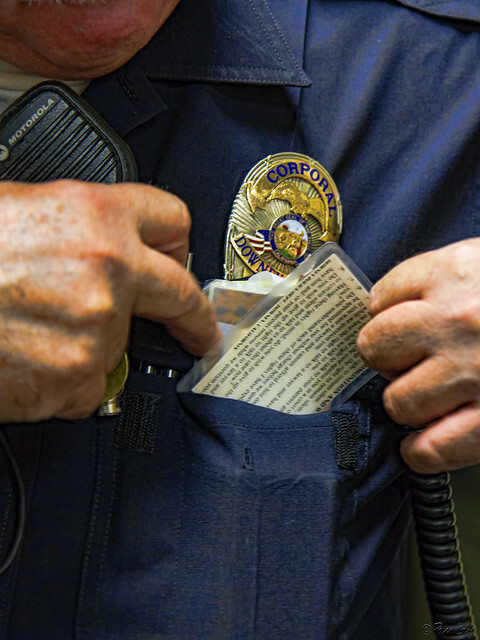 When it's time to read a suspect his rights, Corporal Boggs pulls the card out of his pocket and "reads" them. 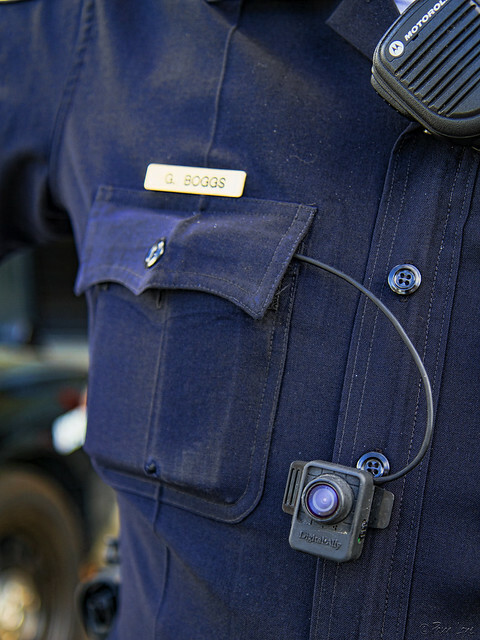 All of this is recorded by his body camera (or a camera in the station), so that at trial, it can be shown that all these technicalities were performed, to the letter. The requirement to inform detained suspects of their constitutional right to avoid self-incrimination (the Miranda warning) has been in effect since 1966. It's an extra burden for the police, but an extra protection for our democratic processes.